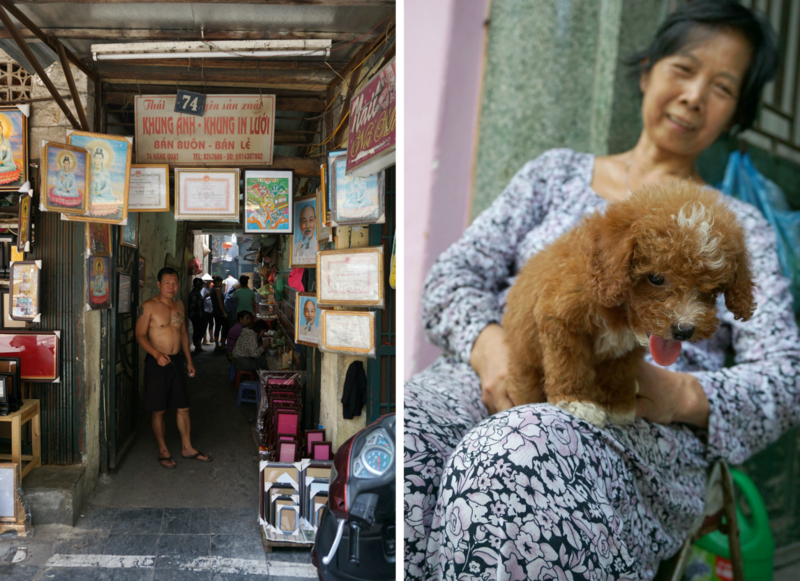 Hanoi was our first stop in Vietnam, and we found it hard to leave. 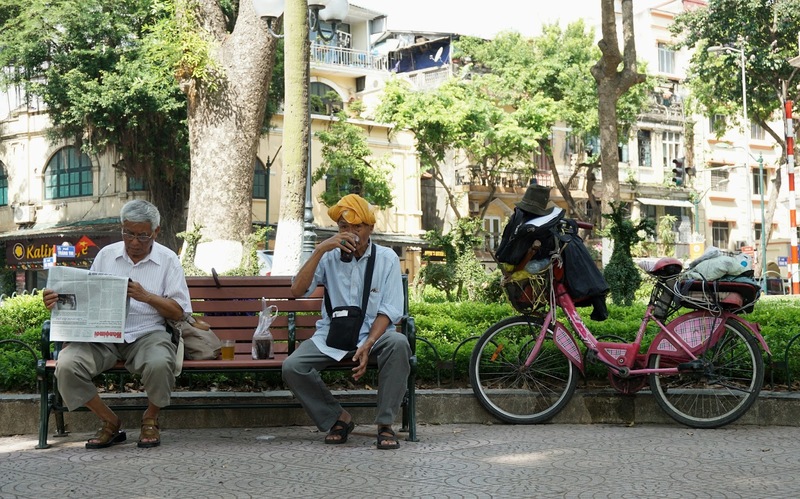 In short, we loved Hanoi. The madness of the city, roads packed with scooters whizzing in and out of the traffic, to the street-side vendors selling bowls of steaming phở and bún chả for pennies. 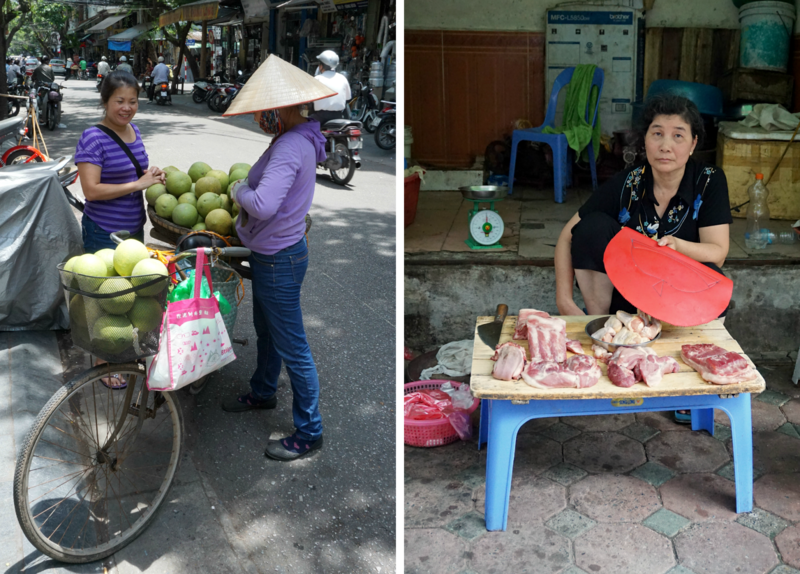 It is brimming with culture and life; making it my favourite Vietnamese stop in our trip. Hoi An, you hold second place! 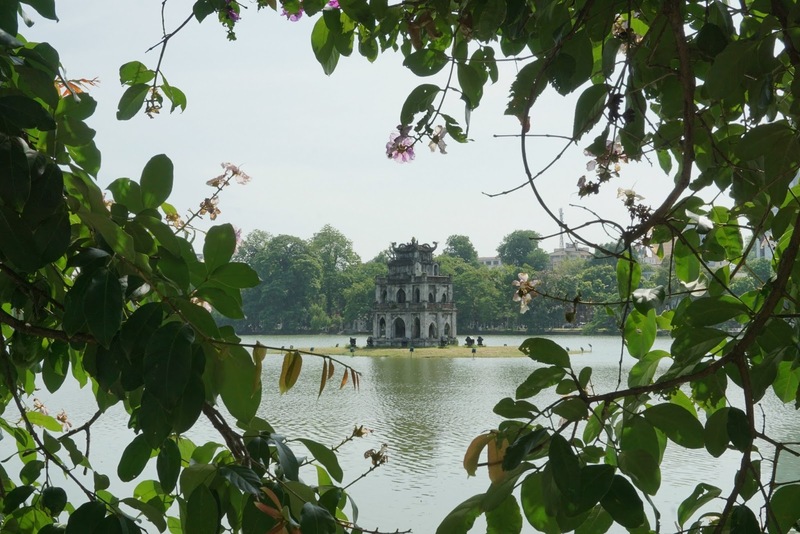 Before I get in to a post on the must-see sites, as well as where we ate and slept, I wanted to share with you our two most memorable Hanoi experiences. And let's start with my first thought when arriving in a new city/town/country - what's good to eat? 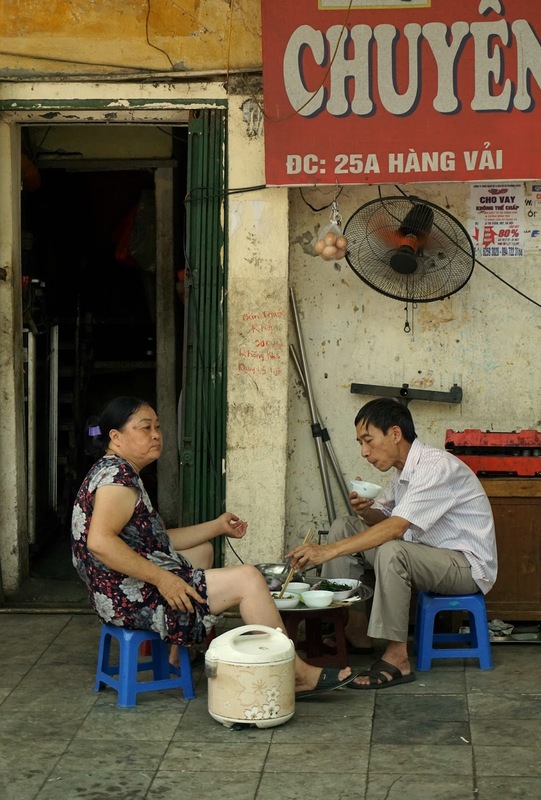 Hanoi is all about the food - tiny plastic chairs dotted along pavements never looked so appealing! 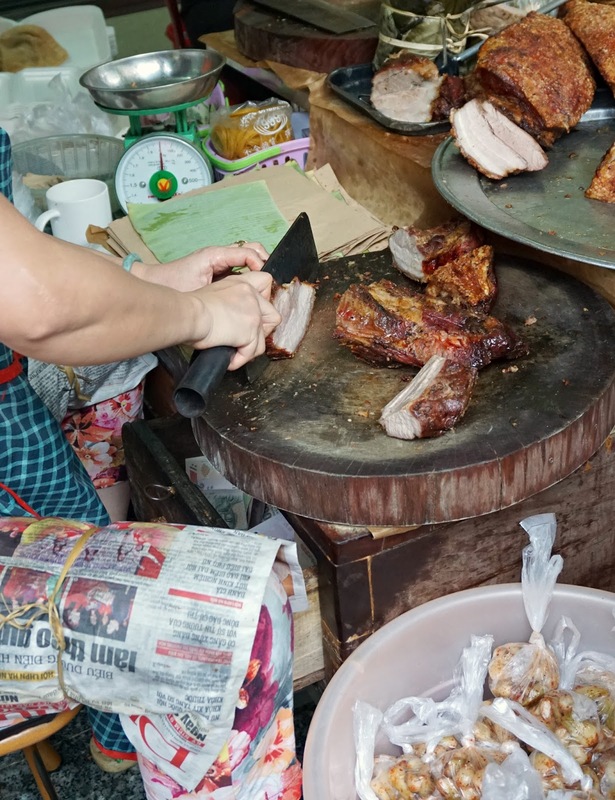 But the Vietnamese capital can be pretty daunting; not only is the traffic completely chaotic, but the language is near impossible to decipher and most street vendors specialise in specific dishes, making it hard to know what you're signing up for. Step in, the street food tour. Recommended by friends as their #1 Vietnam experience, we had emailed Tu in advance of arriving in Hanoi. 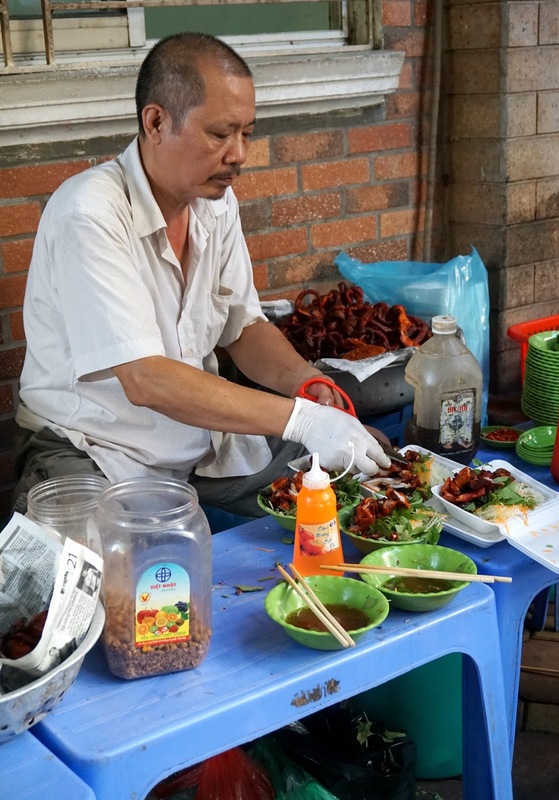 He recommended the half day tour; three hours spent exploring Hanoi on foot, sampling the very best street food picks. 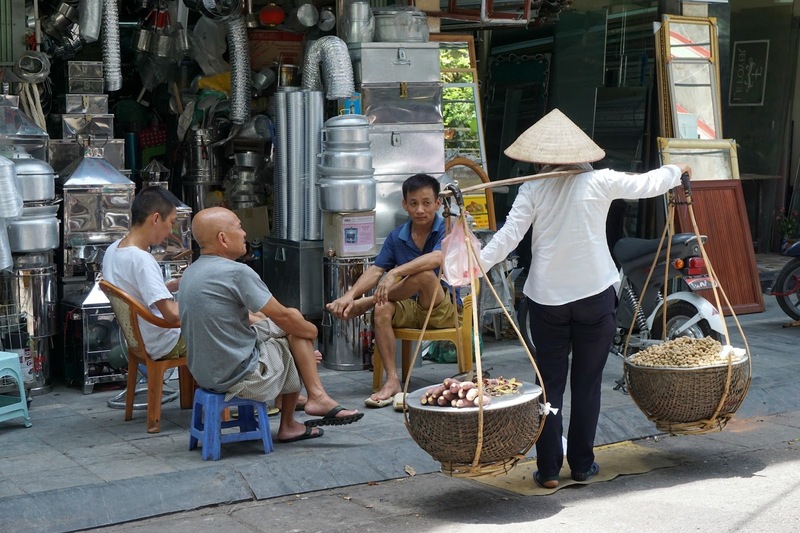 Tu and partner Mark live in Hanoi and have that insider information you want; not just where to eat phở but where to eat the best phở. Mark met us at our hotel and we hopped in a taxi to our first stop - something iced and caffeinated. Hanoi has many speciality dishes, and cà phê trứng is one of these; egg coffee. Yes, you read that right. Vietnamese coffee is something else! My favourite, cà phê sữa đá, is strong coffee with ice and condensed milk - there really is nothing else like it. The addition of the egg (traditionally drank warm, but we had iced due to the ~40 degree heat!) transforms an already delicious caffeine fix in to liquid tiramisu. I kid you not, it is the most incredible taste! 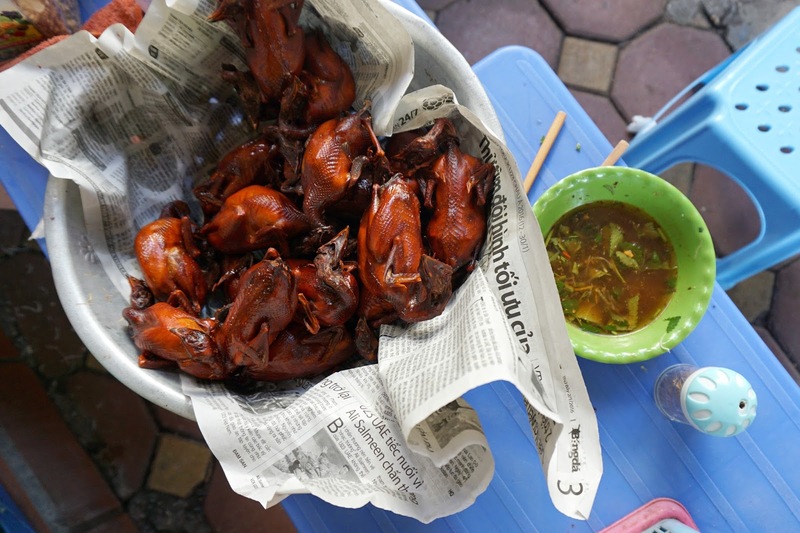 Moving on, we strolled round the corner to stop number two for quails and a spicy papaya salad, washed down with a bia Hanoi and a rest from the afternoon heat. Once again totally delicious and something we would not normally have chosen to eat; the quails were so tasty and the spicy salad lived up to it's name! A short walk took us to meat street. Well, I'm sure it's not actually called that, but many of the streets in Hanoi are old 'guild' streets, specialising in something particular. We stopped off at a women hacking away at half a pig - again, something we would never have had the balls to do without our guide Mark! Partly due to the language barrier, partly due to the fierce-looking woman wielding a meat cleaver. 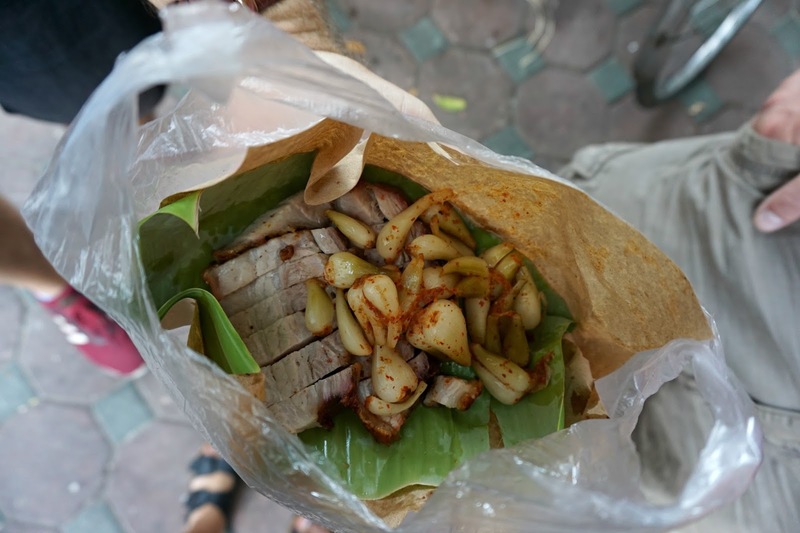 He got us a bag of sliced pork belly, topped with tiny sweet pickled onions - pure joy in a carrier bag. The meat was deliciously succulent and full of flavour, with the onions the perfect accompaniment. Mark's ability to speak the language and knowledge of these hidden spots meant we tried foods that otherwise would've remained hidden. Next, a scotch egg type thing (pork meat and mushrooms over a quails egg, deep fried) with a sweet dipping sauce and another brief sit down and chat about some of the more bizarre Vietnamese customs and practices! 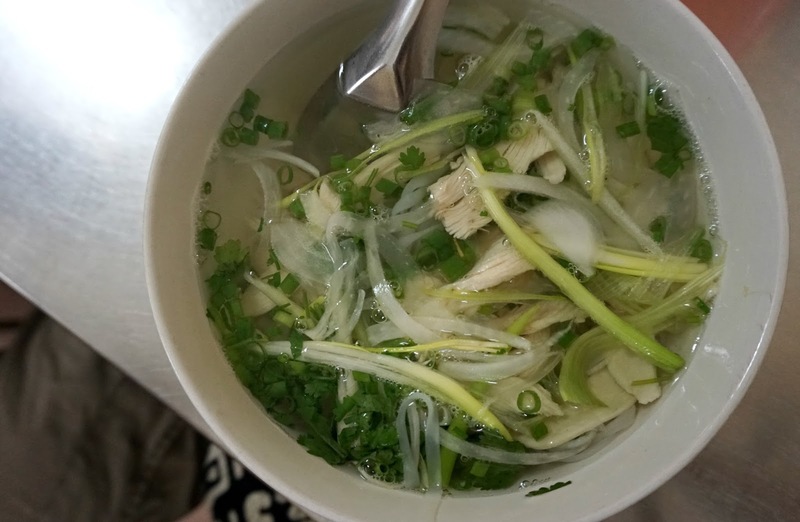 We then stopped for chicken phở (phở gà); a bit of a rarity as most phở dishes are with beef (phở bò). The flavour was even lighter than beef, the broth delicious and meat succulent. Mark showed us how the locals choose what us Westerners would call the nasty cuts of meat; feet, offal et al. The breast is deemed a poor cut, and therefore left for us foreigners. Fine by us! Early on in our tour we told Mark how much we loved bánh mì - Vietnamese baguettes usually with pork, pâté and pickled veg. We were super chuffed when he was able to take us to the best place in Hanoi for pâté - even though we were fit to burst by this point, we demolished baguettes filled with the most delicious freshly made pâté finished simply with pickled cucumbers. Finally we walked back towards our hotel, stopping for a Vietnamese take on froyo - ironically right outside of our hotel which we'd stayed at for the best part of a week without giving a second glance! And that really is the joy of a food tour; finding hidden gems, understanding what dishes you love (and what's in them!) and trying something new and unexpected. We paid $85 per person for the three hour tour - not cheap, but worth every penny in our view. We met people who took other (cheaper) tours, where they were part of a large group and didn't visit as many stops as we did. Our tour was just Rich and I with our guide Mark, meaning we were able to ask a heap of questions and really get to know Hanoi and Mark a little better. After the tour he even emailed us a list of restaurant / street food recommendations for other cities we planned on visiting in Vietnam, nearly all of which we squeezed in and completely loved. Thanks Mark and Tu - a foodie's dream! 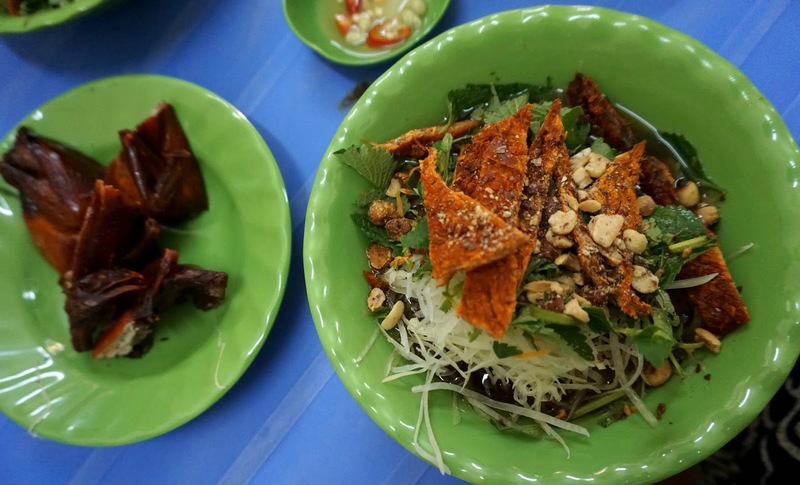 Be sure to check out Mark and Tu's respective Instagrams to get a glimpse of life for a food writer/guide in Hanoi. I'm not actually sure how I stumbled upon this one, I can't remember, but I'm so glad I did. Not only was the tour an insight into Hanoi, it gave me a proper lesson in how to use my camera - skills I now use every day! Again, I went for a half-day tour option starting bright and early at 8am and finishing around lunchtime. I lucked out and ended up being the only person on the tour with my instructor Will, which meant I was able to get 1:1 tuition and his complete attention! The experience centred around three types of shot, starting with the establishing shot. We met at Nha Tho Cathedral and used this as the focus for our first shot - shooting from different angles and spending some time looking at details. I have to admit that up until this point I was at a complete loss as to how to use my camera out of Auto mode - shameful, I know, especially as I am on my second digital camera now. Will showed me how to play around with the three basics in Manual mode - ISO, aperture and shutter speed - what they do and what affect they have on images. Once we had taken some snaps of the Cathedral, we walked round to a secluded pagoda where we saw locals meeting to worship and talked about the next shot - the relationship shot. Relationship shots are all about taking candid photos of people going about their daily lives; work, play and everything in between. 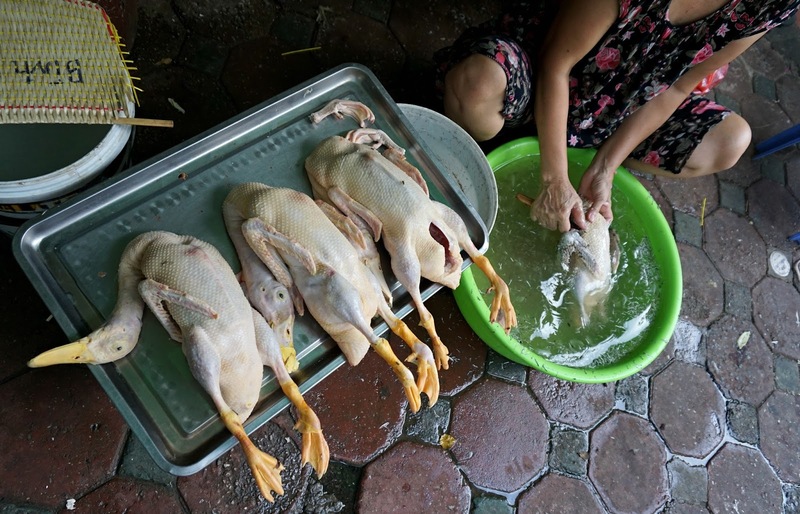 Vietnam's capital city is full of life and vibrancy, so looking for this type of shot isn't difficult. Walking through Hanoi's guild streets you are met with scores of people weaving in and out of each other, talking, selling and interacting - the trick is to get it on camera. Will showed me some techniques and ways of capturing these candid shots; how to set up the camera, and ways of being more subtle with photographing subjects. Hanoians are smartening up to people getting snaps of them - they are sharp and don't miss a trick! But often a cheeky smile, a thank you and offering to show them the shot on your camera works a treat and they will allow their photo to be taken. Of course, this type of shot is less candid so I was still working on ways to capture those relationship shots with more subtlety. My favourite images to take were definitely the relationship shots - capturing those interactions and glances is so tricky; it is rewarding when you catch one on camera! We walked past a little pooch poking it's head out of a cardboard box on the floor and asked it's owner if we could take a photo; she popped it up on her lap whilst I got snap happy. Changing angles and settings along the way, I was able to get some great images - I especially love the ones of her looking down with those loving eyes every dog owner has for their beloved pooch. 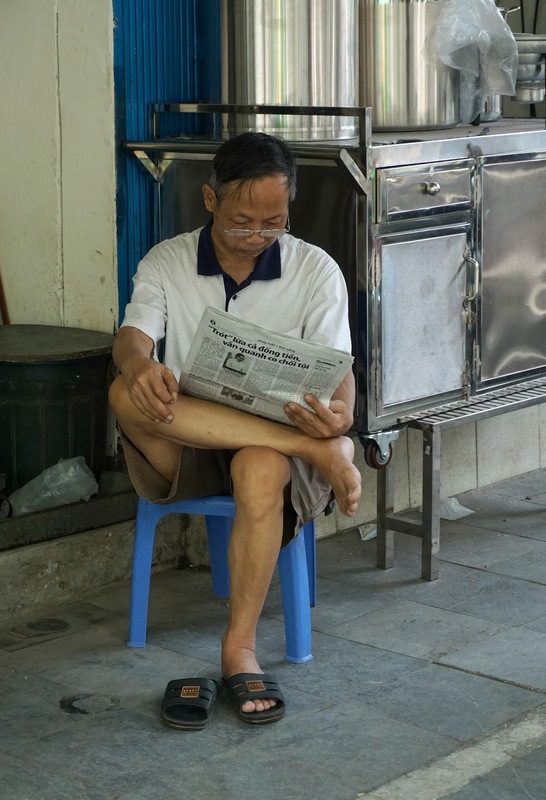 Others included vendors touting business with reluctant locals, families huddled around hot bowls of noodles and old gents chatting and reading the paper next to Hoan Kiem Lake. The lake itself makes for a great shooting location; we saw keep fit classes, people dancing, ladies catching up and howling with laughter and the odd conical hat for good measure. Definitely the place to head to if you want to catch some interesting scenes! The final shot was the portrait shot. During our walk Will pointed out some of the quirks of Hanoi's streets, and we talked about how these are what makes Hanoi unique - it's these subtleties which make for great photographs and stories. Men reading the paper totally lost in thought (or just choosing to ignore the snapping of my lens!) and those tiny blue plastic chairs so synonymous with Hanoi. After this tour I found it almost impossible to walk down a street without taking a million pictures - the smallest of details became glaringly obvious and begging to be photographed, the imperfect peeling walls the perfect backdrop. My only regret is that I didn't do something like this earlier on in our travels! It really helped my photography and my snaps taken after this day were so much better than those before. Frustrating, but demonstrating just how much I learnt! The almost five hour tour cost $60, and although it should have been part of a group tour I ended up being on my own for the session - an amazing experience. 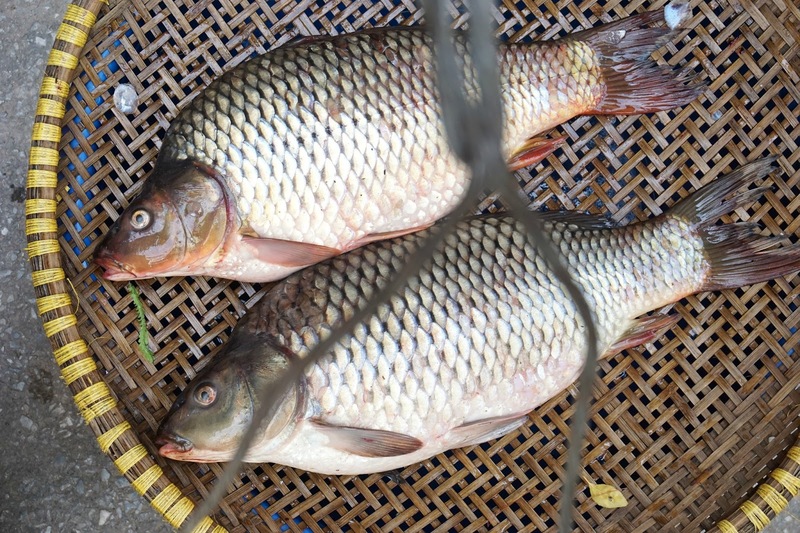 Vietnam in Focus offer a whole load of tour packages including iPhone tours of Hanoi, a popular 'On The Tracks' tour starting on Long Bein Bridge, as well as sunrise shoots. For the more adventurous there are opportunities to visit Sapa, Hoi An and Saigon on multi-day tours which sound and look absolutely incredible. Thanks ViF and Will for an unforgettable experience! 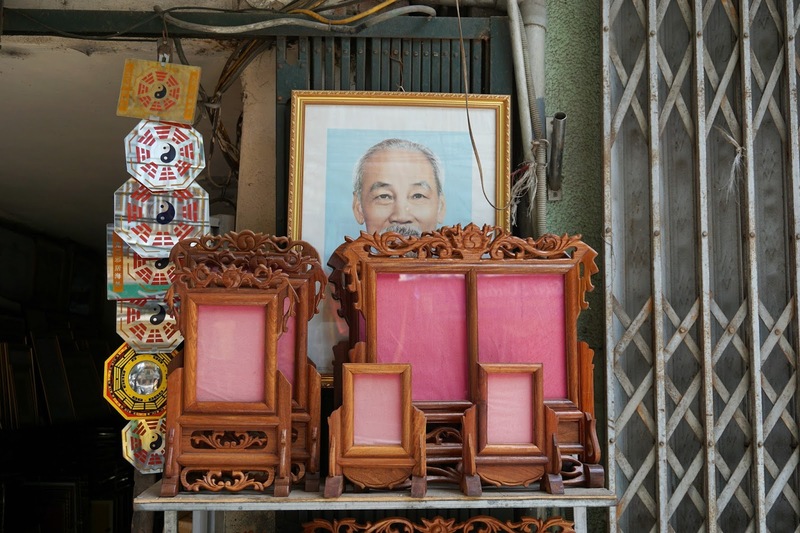 Check out Vietnam in Focus' and Will's Instagram accounts for wanderlust-inducing snaps.